This is just a tidyup as the licence was only in use in 2009! morning run now serves Tamerton Foliet. The 47S remains unchanged. As usual there is no explanation of these changes on Target Travel web site (as at Sunday21st anyway). The timetable still shows the old route to Devonport. apparently it only works for routes with 3 characters - whilst most of their routes only have 2! RESIDENTS in Aller have said that it is incredibly lucky that no-one has been seriously injured after another double-decker bus collided with a tree branch in the estate. 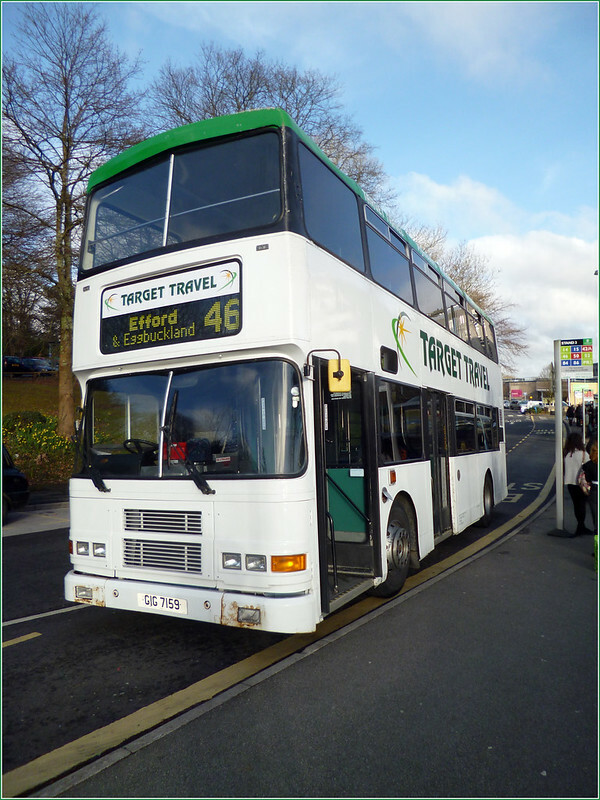 While work is being undertaken on the South Devon Highway, the no.12 and the x46 buses have been diverted through the Aller estate. The latest incident on Wednesday saw the front metal bar of the bus bent from the impact and damage to the windscreen and fibreglass body of the bus, which knocked the 12ft branch 30ft up the road. I heard driver say that Stagecoach have quote.. 'loads more routes' coming soon, one Falcon settled in. Thanks Peter, obviously me having one of those days! I also suspect I left the Ltd off too! Weird. Target Travel Ltd isn't even their name. It's hardly surprising really that people struggle to find it when they're using the name of a company that doesn't exist!